Lauren Scharhag: Book V is here! 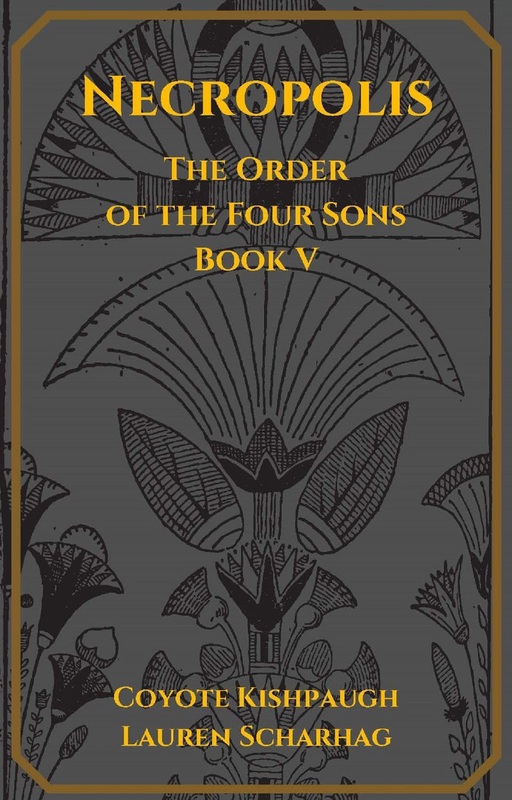 Friends, I am pleased to share that Necropolis: The Order of the Four Sons, Book V, is now available as an ebook. Kindle users can download it on Amazon. It is also available on Smashwords, which offers a variety of formats for different devices. It will be available soon on Barnes & Noble, Kobo, Apple, and other ebook retailers. In the wake of their defeat, Starry Wisdom has retreated to their home world of Cerulean, a seemingly idyllic society they have engineered for their own dark purposes. 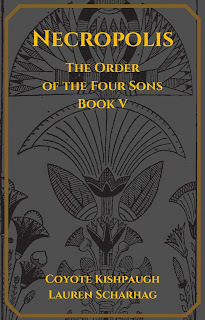 There, Joan Metz; her son, General Michael Anglicus; and the rest of Starry Wisdom proceed with their plans to assemble the Staff of Solomon, even as they prepare for the inevitable reprisal from the Order and Corbenic. Already plagued by doubts and in-fighting, further conflict arises when Countess Elizabeth Bathory is brought into their inner circle, with Nathan DePriest as her apprentice. The surviving members of the Order, along with a team of Corbenese soldiers and geomancers, have succeeded in infiltrating Cerulean. As they launch a series of attacks, they, too, struggle to overcome their differences. Meanwhile, in Cerulean’s central city, Bill Welsh is posing as a citizen. Still in thrall to the creature Akhenaton, he wages a fight for his very soul. Already, heavy losses have been sustained on all sides, driving everyone to increasingly desperate actions. Despite Cerulean’s modern exterior, ghosts, spirits, fearsome beasts and demons still lurk. Worlds hang in the balance as enemies clash. With the end game fast-approaching, anything is possible, and no one is safe. Thank you all for waiting so patiently for this installment. Five books down, only one left. I'll keep you posted on its progress. Enjoy, and please let us know what you think of Necropolis.